Legislation continually changes and new Standards are published with alarming regularity. It is possible that some equipment that complied last year could be described as no longer compliant. We need to determine your company’s viewpoint of “compliant” and “safe” as they are not mutually dependant and there is no infinite pot of capital. To illustrate the issue, many component suppliers and consultants may have mentioned the Safety Related Control Circuit standards have changed and so should you, but is this really the case? In 1997 the Standard EN954-1 was harmonised, in 1998 the Approved Code of Practice (Acops) for the PUWER regulations published guidance in Regulation 18 stating specifically EN954-1:1997 for presumption of compliance. Let’s assume that machinery on your entire site(s) comply with this standard for your E-stops and interlocks etc. In January of 2012, EN954-1 was repealed and replaced with EN13849 and EN62061, the Acops have already been changed to replace EN954 with EN ISO13849. If you are to comply with this new standard, you may have to assess ALL your machinery against this new requirement and make any engineering changes required (such as replacing your control circuit), then you must validate the equipment. The value of this endeavour has been questioned by many companies. 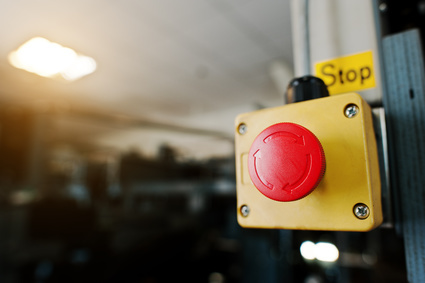 Machinery Safety Compliance Services can walk you through the differences in these Standards and the implications from physical risk, corporate risk and the costs involved to help you produce company policy.